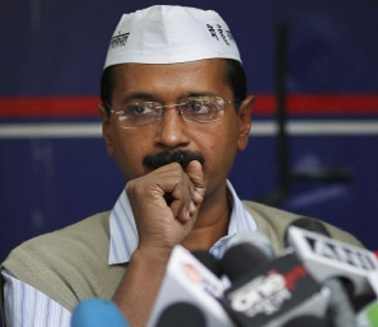 Kejriwal, why this double standard for Ambani & Birla money and bribery probes? Arvind Kejriwal is finally getting caught in his own web of lies, half-truths and self-defined ethical norms. What he did not disclose is that the sponsor of the India Today Conclave is Aditya Birla group (ABG) which includes Hindalco, a company this is under the Coalgate scam probe. What he also failed to disclose was that India Today’s parent company Living Media India Limited (LMIL) is ABG’s affiliated company. An ABG investment company has the right to hike stake in LMIL from 27.5% to 49%! He failed to disclose how loss-incurring LMIL can splurge lakhs of rupees on a single chartered flight!! More of this later. Kejriwal, who mostly makes unsubstantiated charges of corruption against select corporates and his critics, has maintained silence over the ABG’s affairs. He, for instance, kept mum on the unearthing of Rs 25-crore cash by CBI in Hindalco’s Delhi office on 16th October 2013. 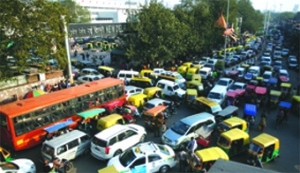 A traffic roundabout in Sushant Lok-Phase III of Gurgaon city in Haryana is aptly named Harmony Chowk. Aptly because everyone in this area is in harmony with the citizen’s de facto right to do as one desires. Every person at Harmony Chowk, from the owner of a luxury car to a cyclist, seems hell bent on takinginnovative shortcuts, violating every traffic rule in the book. This Harmony Chowk syndrome of saying twohoots to the duty of complying with traffic rules is the apotheosis of the Indian ‘I’m-allright-Jack’ paradigm: theentire nation, now in the grip of an unprecedented “my rights” revolution fanned by politicians, judiciary, NGOsand the media, cares not a whit about the concept of “my duties”. United Progressive Alliance (UPA) Government’s controversial attempt to privatize six airports has drawn flak from the Board of Directors of Airports Authority of India (AAI).This is expected to inspire AAI employees to up the ante against privatization. According to informed sources, the newly inducted nominee of Ministry of Civil Aviation on the AAI Board sought to restrain other directors from taking a stand on the PSC’s recommendations. The official, an IAS officer, contended that it was for the Government to take suitable action on such recommendations. 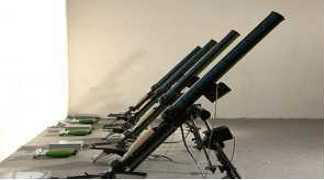 AAI board need not take any stand on PSC’s recommendations. He also claimed that the decision to privatize the six airports at Chennai, Kolkata, Ahmedabad, Jaipur, Lucknow and Guwahati has been taken by the Government and AAI. At this, certain directors wanted to put on record their stand against privatization. The Board has thus officially placed on the record the fact that certain members agreed with PSC’s recommendations that AAI may be permitted to manage and operate the six airports as it had the requisite capabilities. Entry of several private sector companies in the defence sector has been delayed due to UPA’s failure to clarify the applicability of the existing ban on foreign institutional investment (FII) in this arena. The companies whose applications are pending include Tata Advanced Materials Limited (TAPL), Tech Mahindra Limited, Bharat Forge Limited, Punj Lloyd Industries Limited, Reliance Aerospace Technologies Private Limited (RATPL), Rossell India Limited Elcome Marine Services Limited and Zen Technologies Ltd. The ban has even led to hold-up of the proposals of 100%-owned subsidiaries of Indian blue-chip companies that have small FIIs stake by virtue of their being listed on the stock market. Even a fourth-tier subsidiary of a company with non-controlling FII investment has to cool its heels for an industrial licence due the Government’s inability to sort out this policy glitch, according to informed sources.